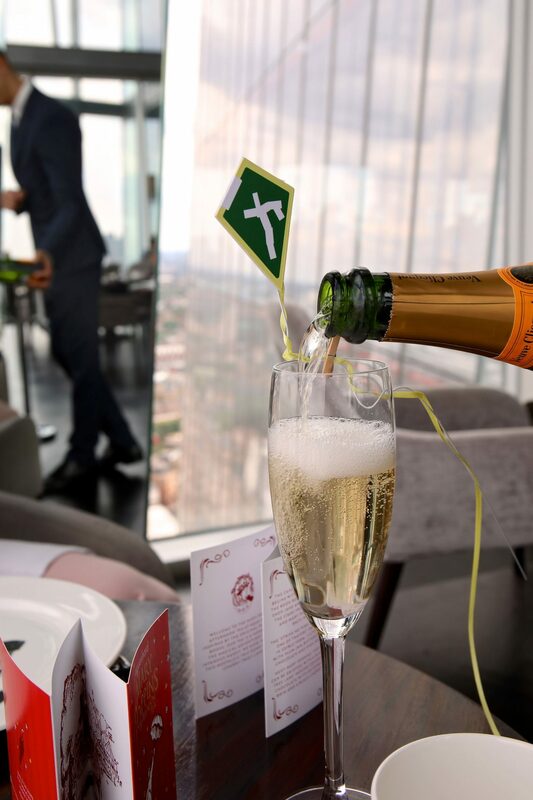 Let’s go fly a kite, up to the highest height – that’s where you’ll find kite’s flying from the rims of champagne glasses anyway. 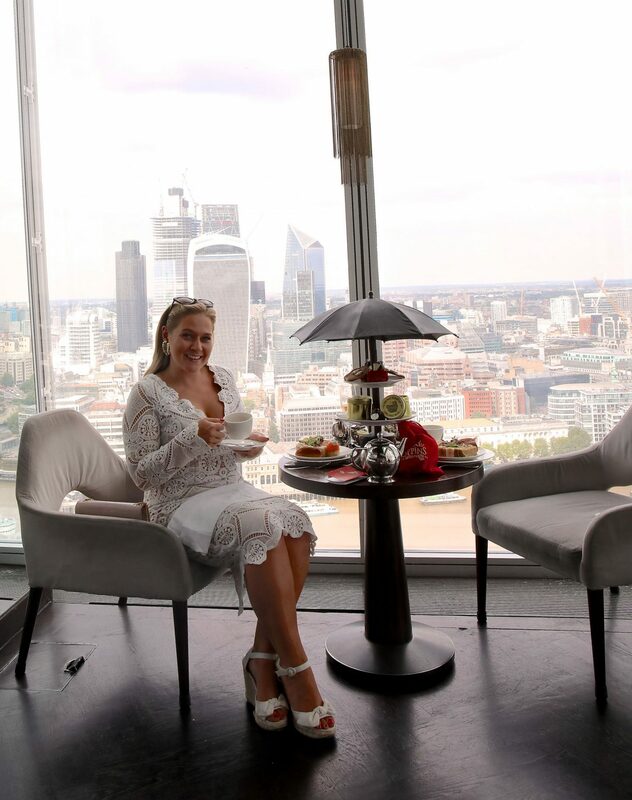 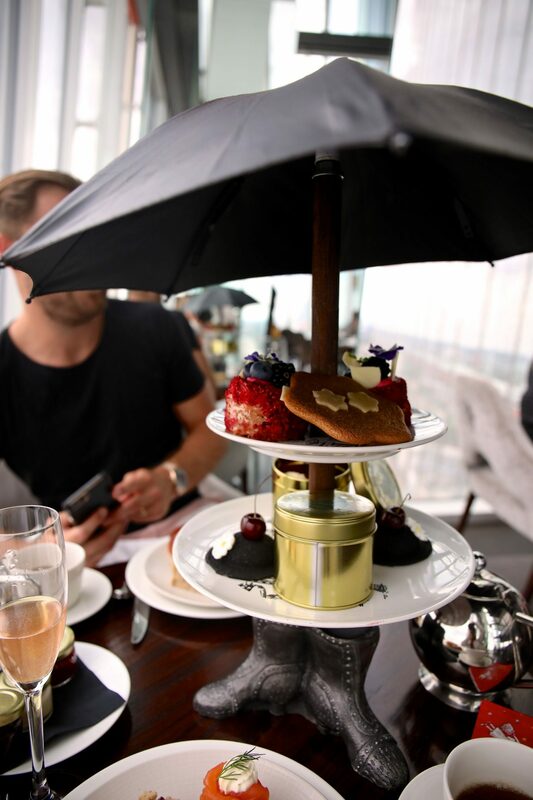 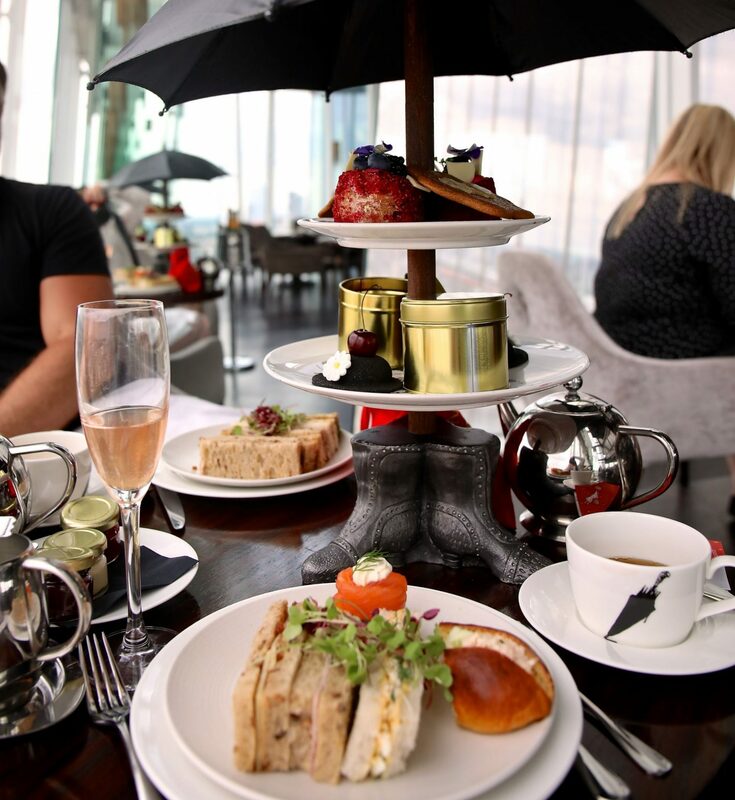 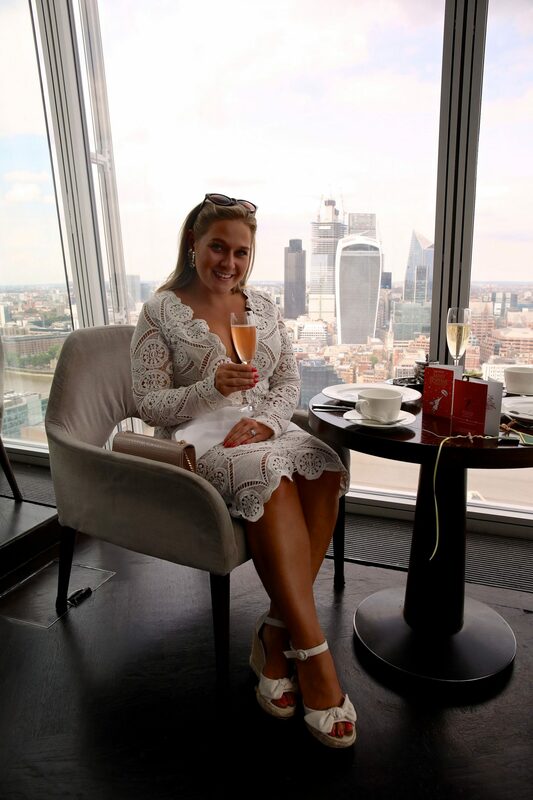 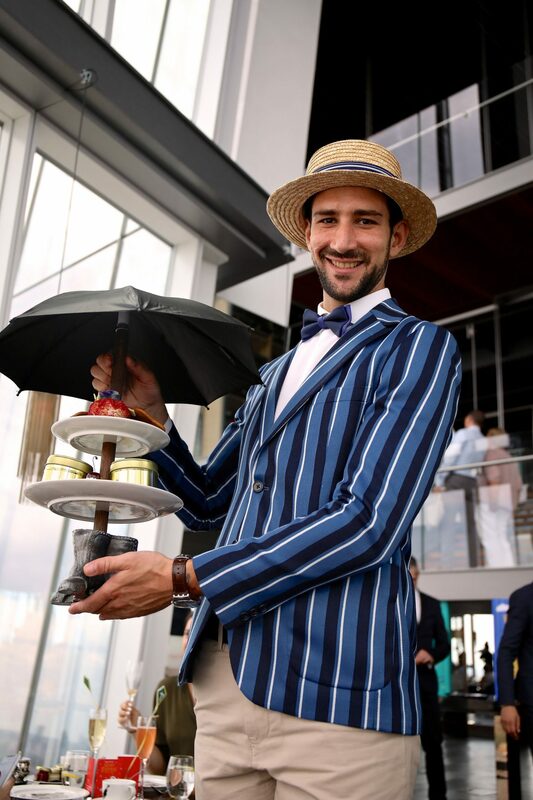 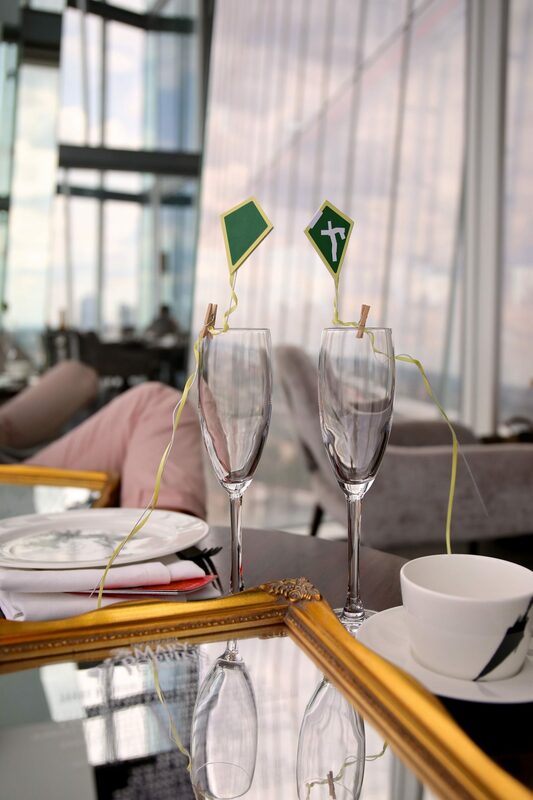 Mary Poppins has finally returned to London and put her supercalifragilisticexpialidocious stamp on afternoon tea at London’s highest height; Aqua Shard! 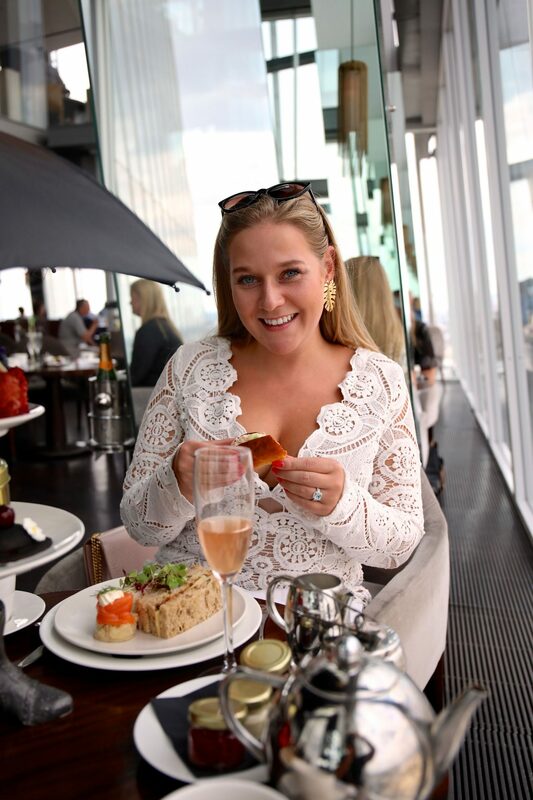 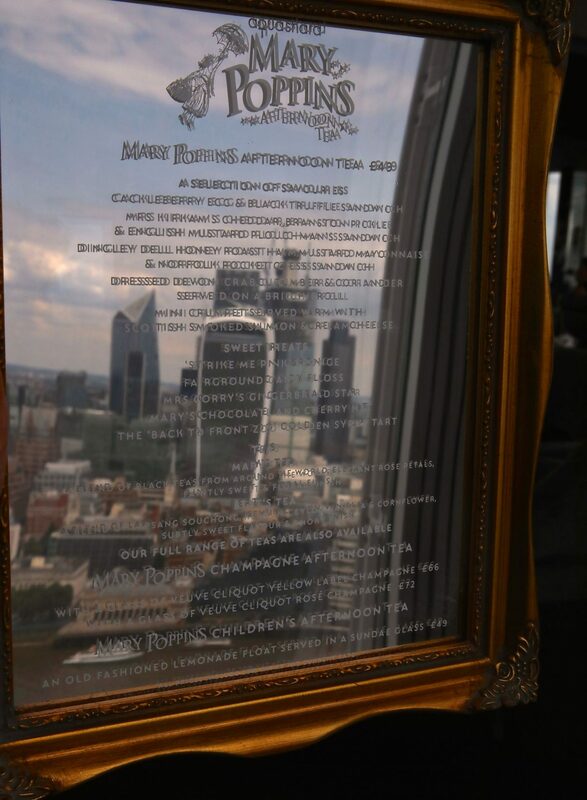 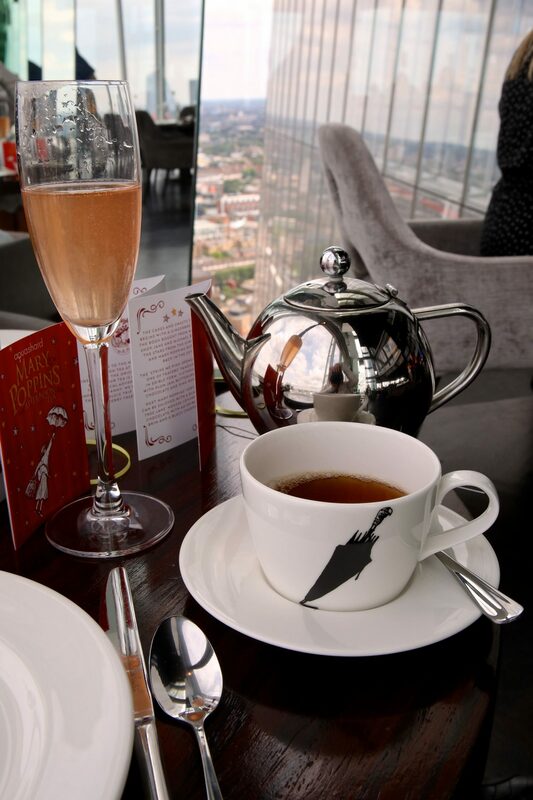 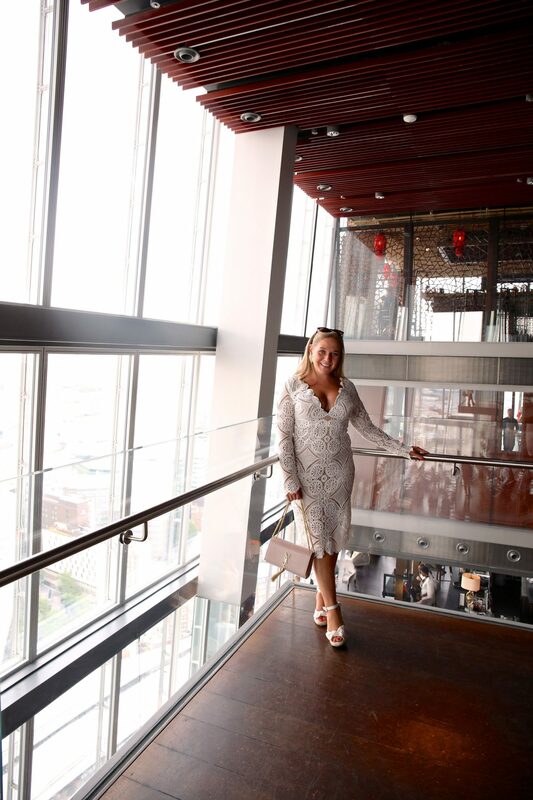 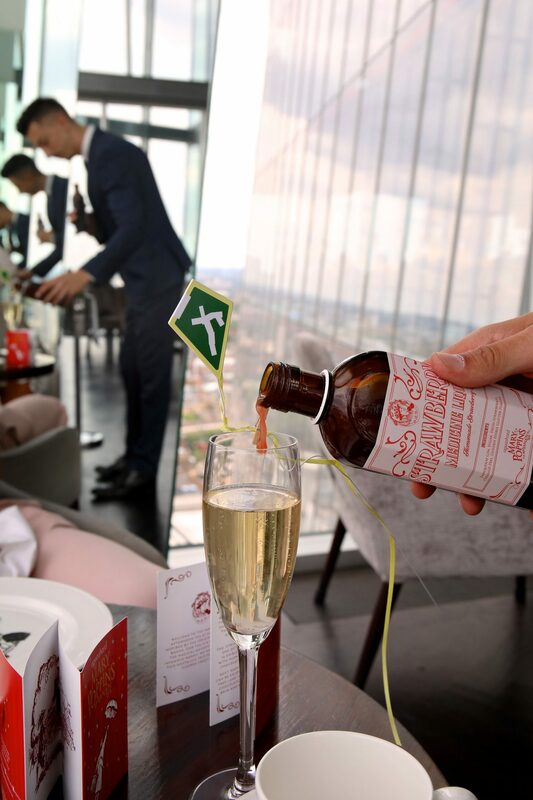 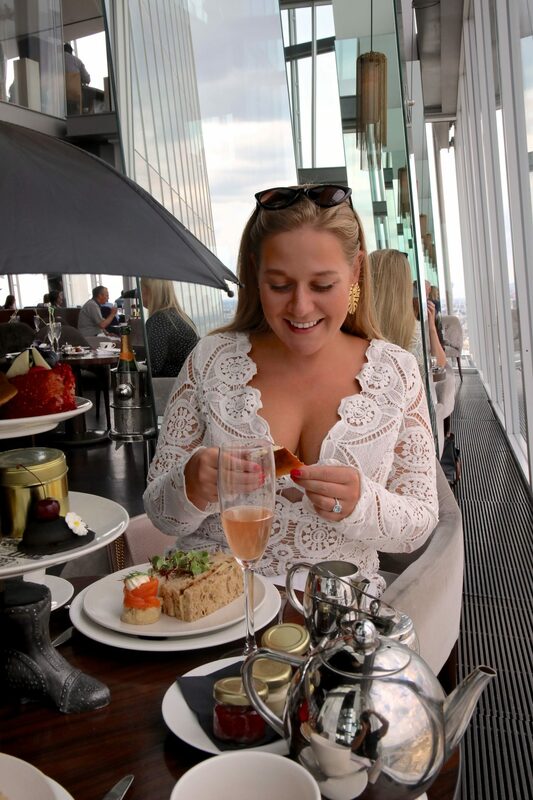 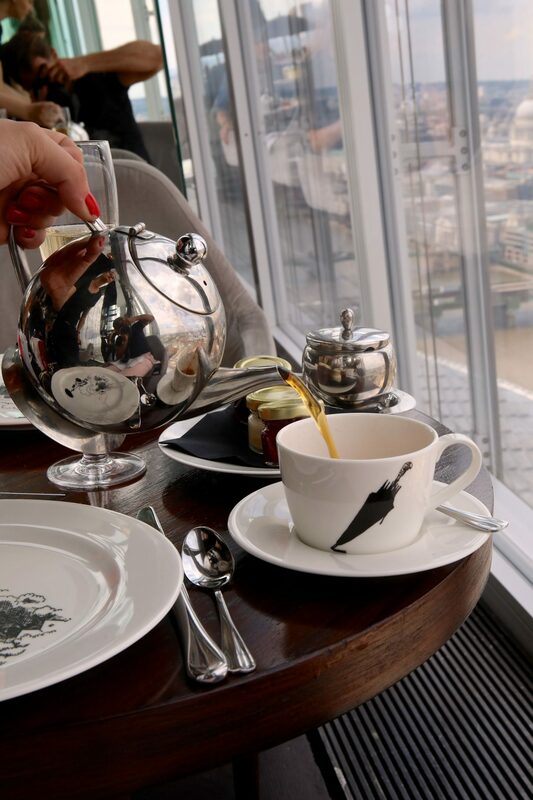 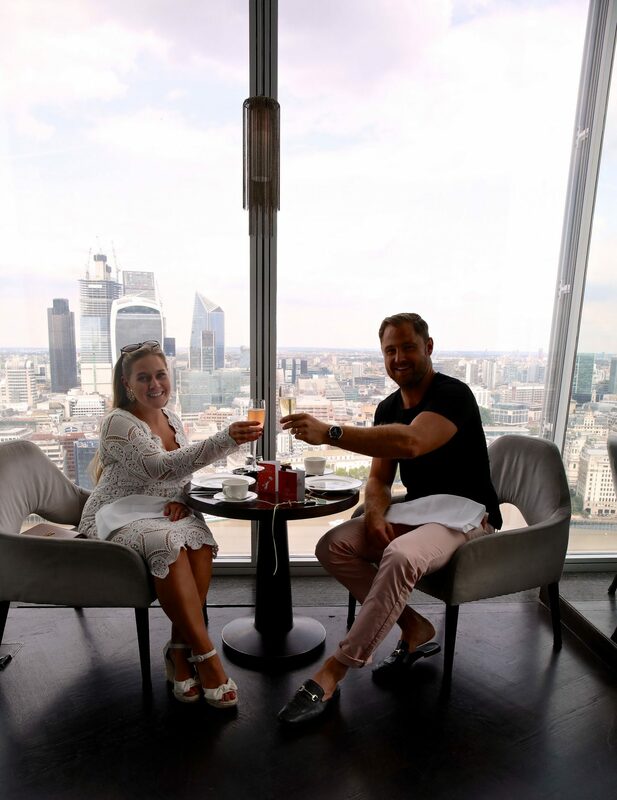 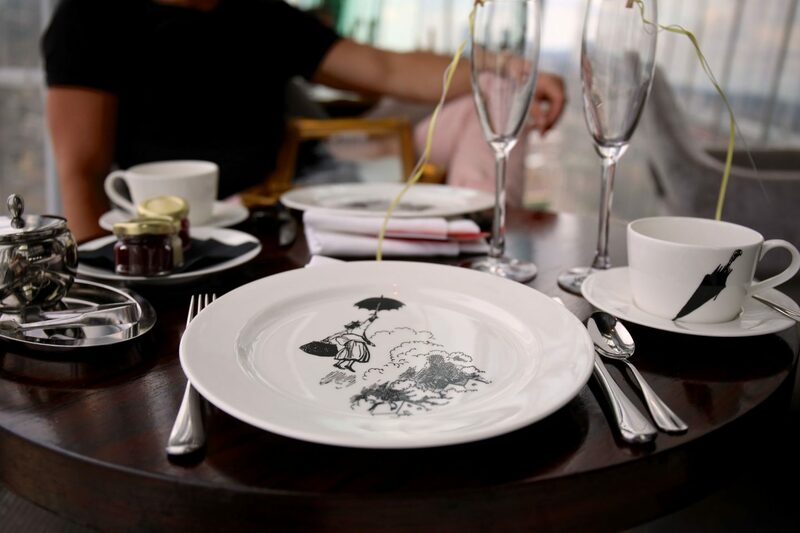 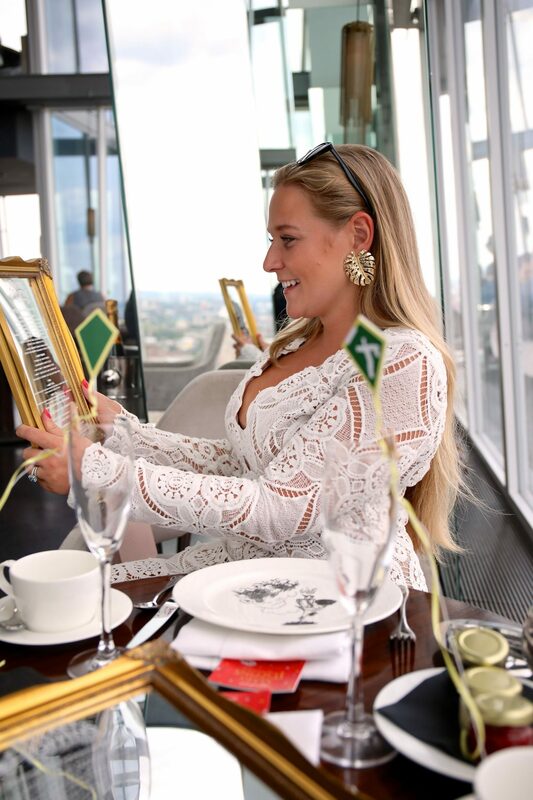 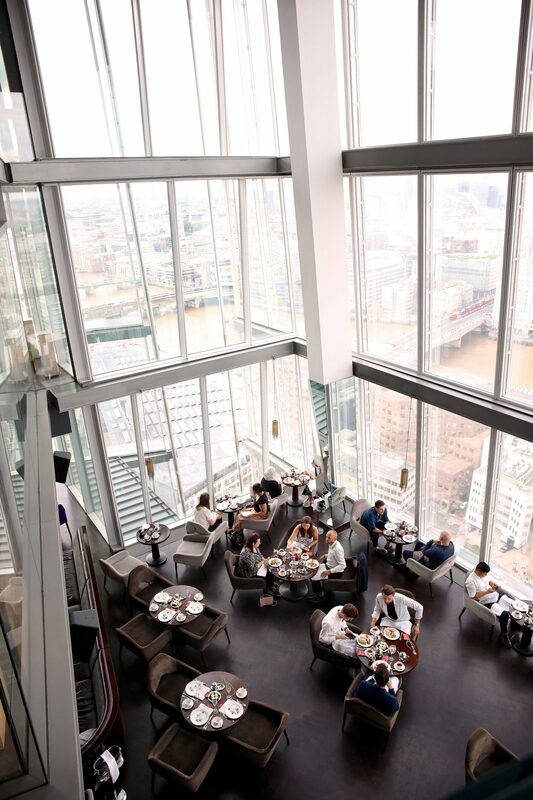 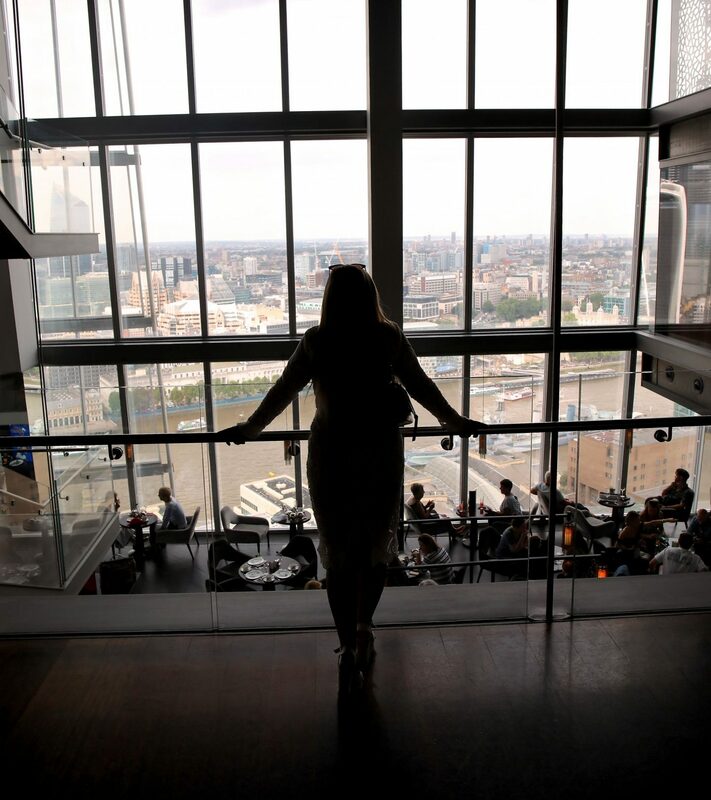 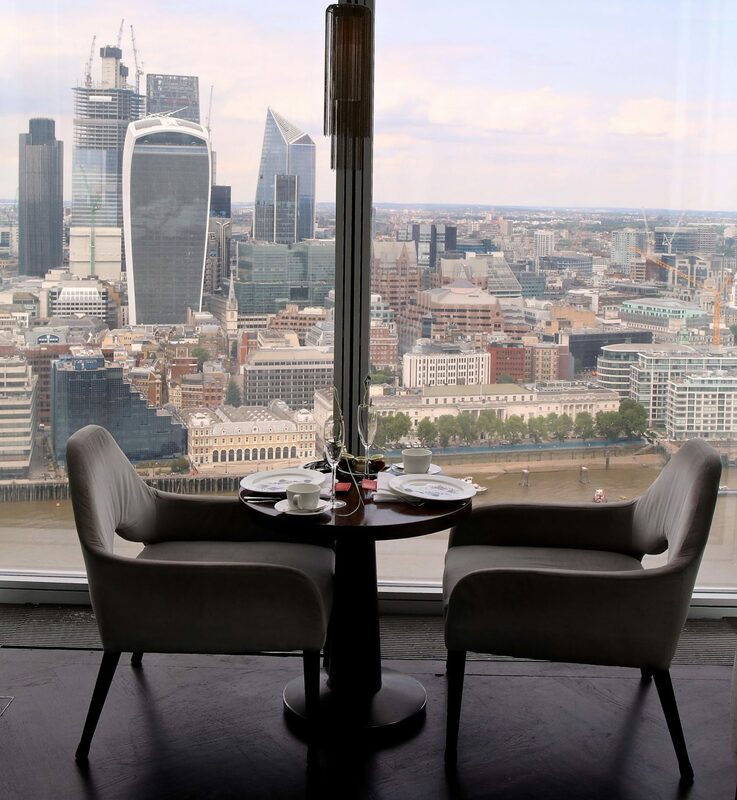 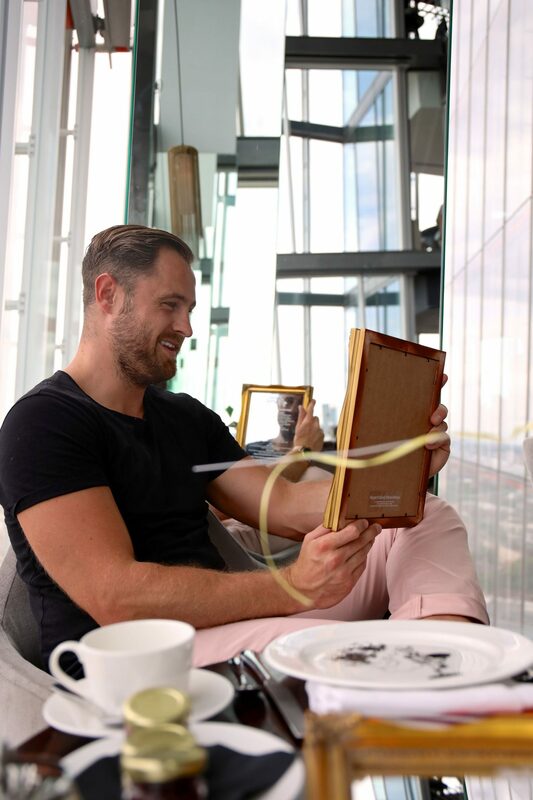 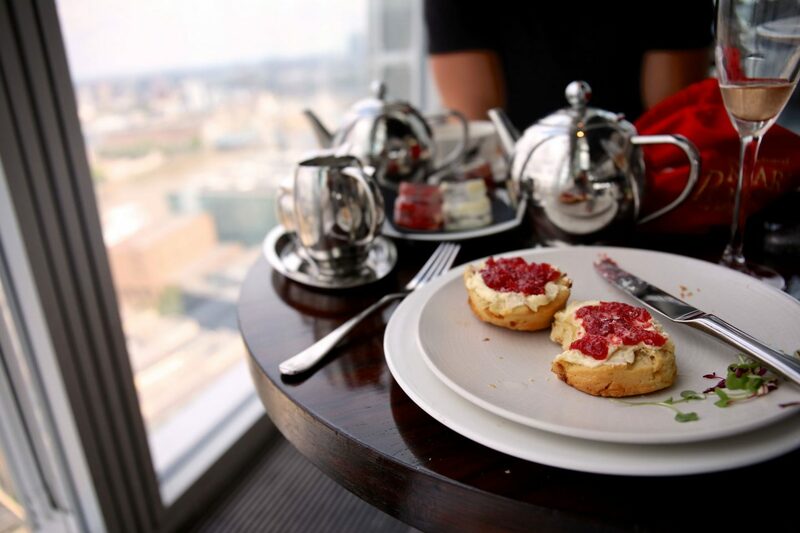 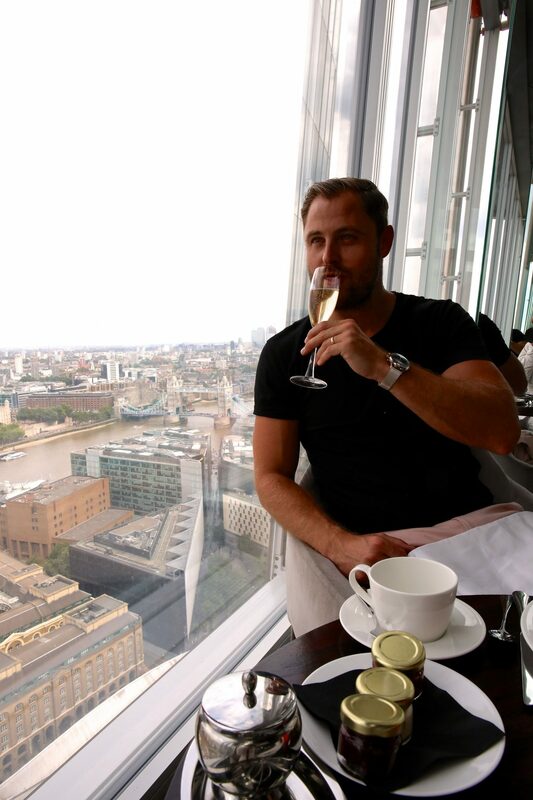 Looking out over almost 360 degree views of London, we sampled menus set into gold framed mirrors and chose our tea options and medicine flavours. 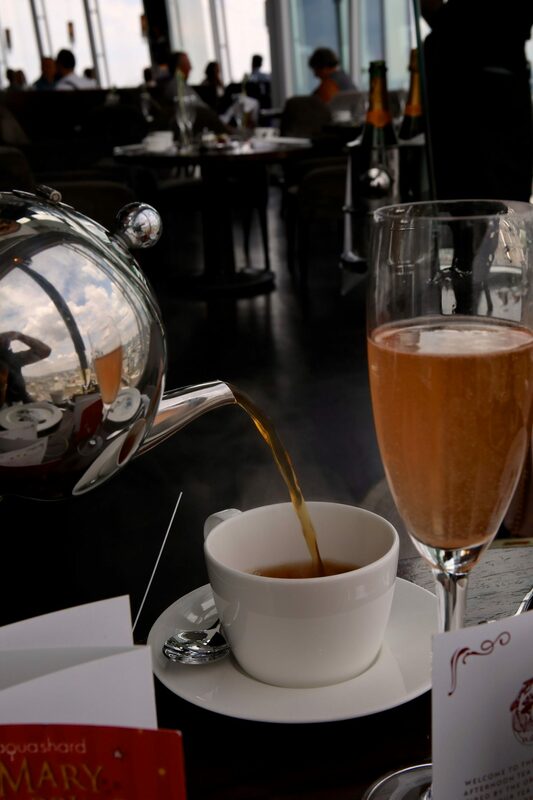 I went for the Mary – A Blend of black teas from around the world with delicate rose petals, to make a tea that’s faintly sweet with a floral finish. 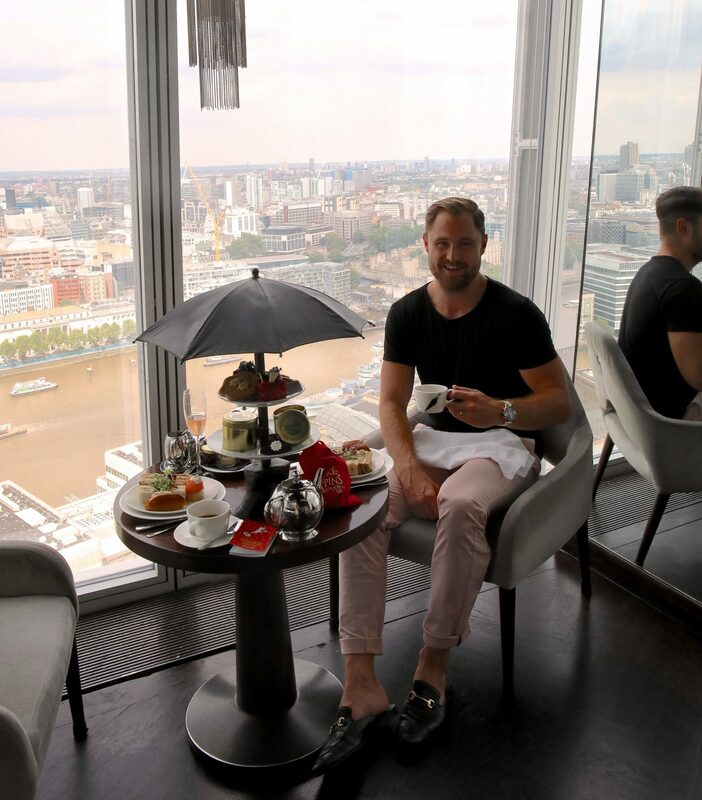 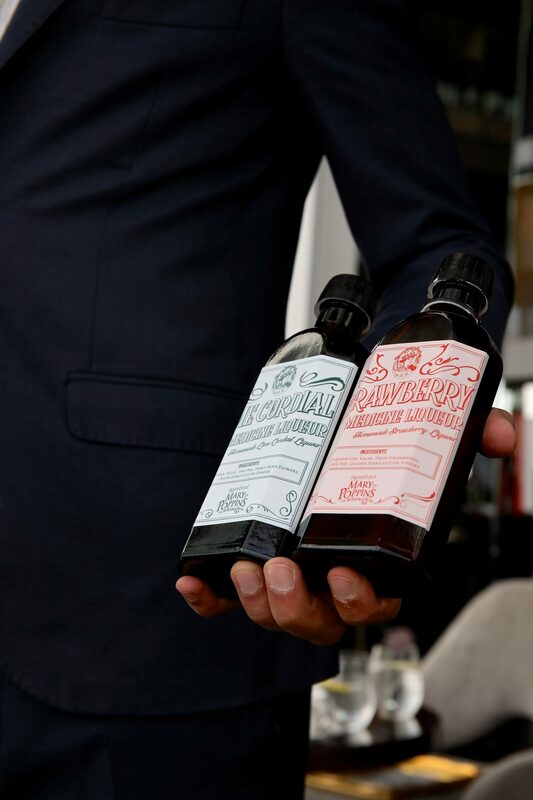 Ben went for Bert – A blend of Lapsang Souchon, Keemun Ceylon, Vanilla and Cornflour for a subtly sweet flavour and a smokey finish. 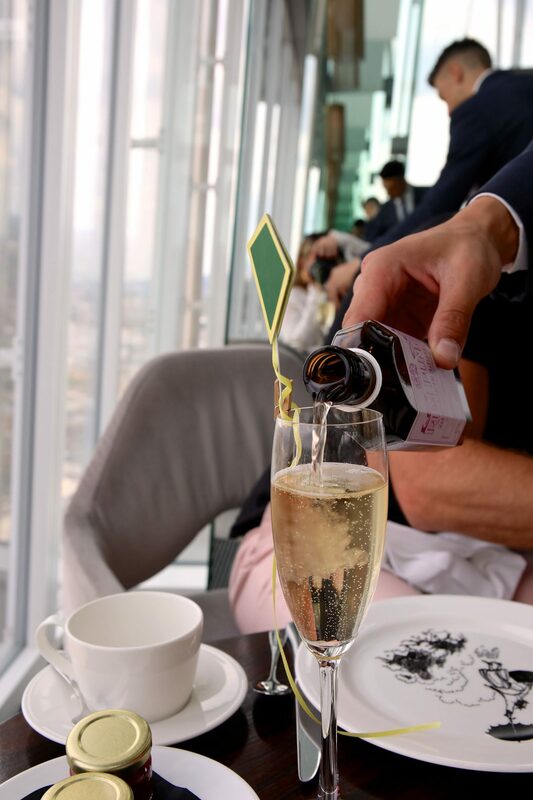 A spoonful of Champagne helps the medicine go down (definitely exactly how Mary Poppins said it) so we eagerly accepted a glass full along with our ‘medicine’ (flavoured liquor). 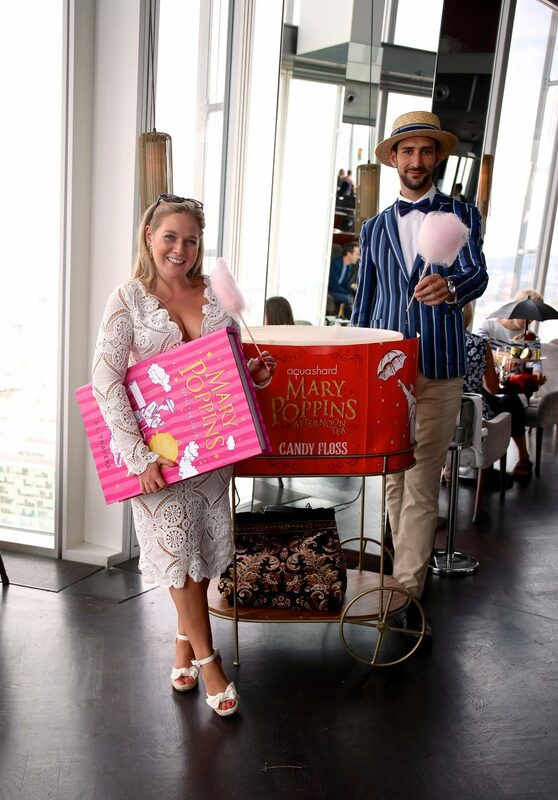 I chose Jane’s favourite Strawberry flavour, while Ben went for Mary’s Rum Punch. 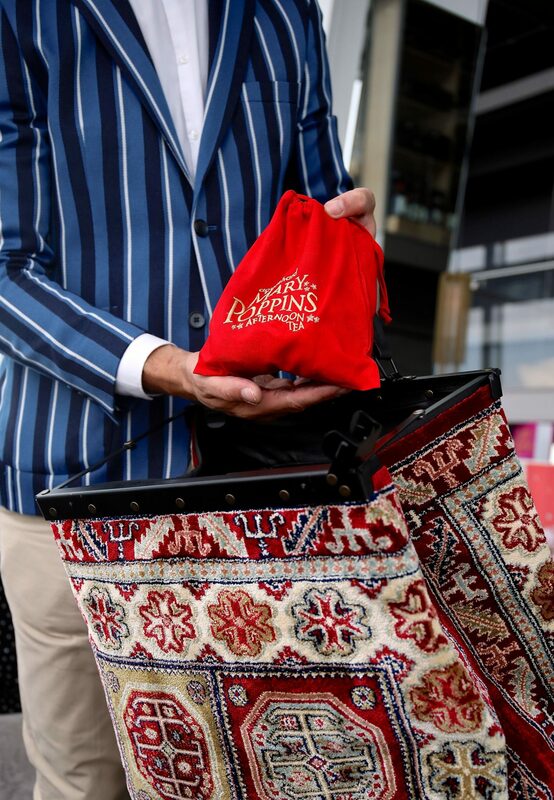 No sooner had we polished off our sandwiches before Mary Poppins’ trademark Carpet Bag appeared and out popped a bag full of warm mouthwatering scones. 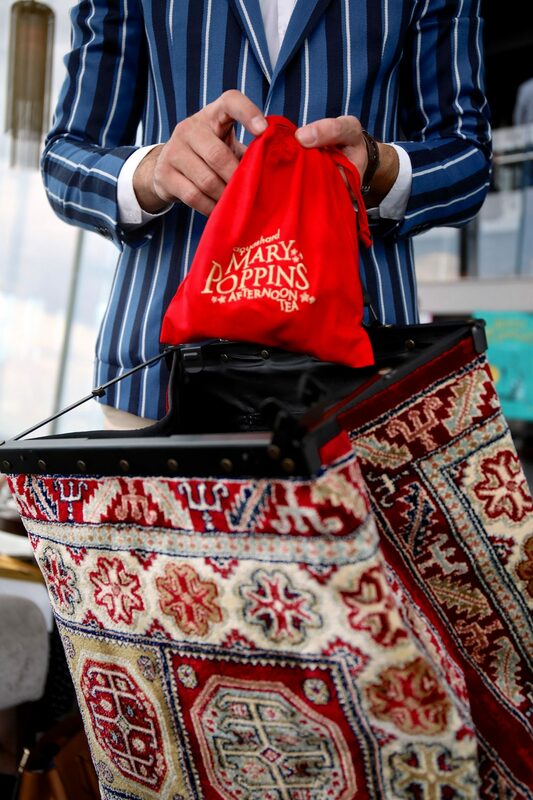 Of course, Mary’s carpet bag doesn’t very well travel on its own, so sure enough her umbrella and boots also found their way onto our table. 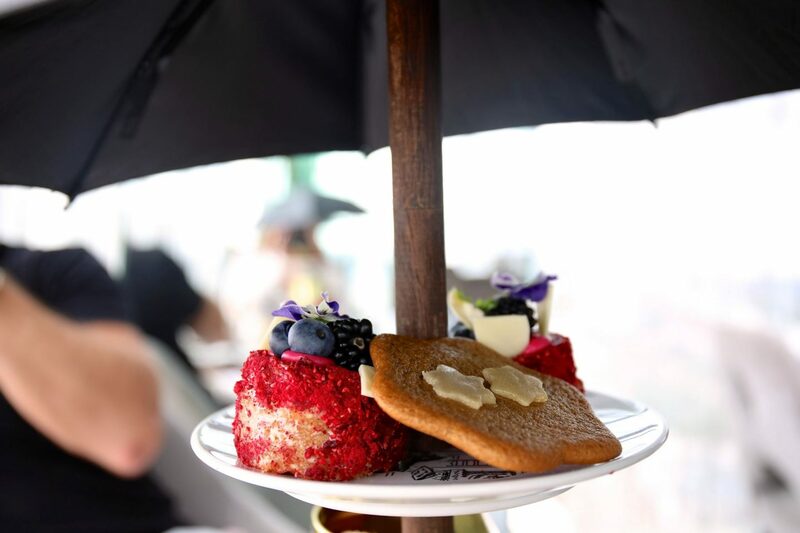 Gingerbread stars, just like the one’s Jane and Michael bought from Mrs Corry’s shop (in the books) where Mary took the gold stars from the paper they were placed in and pasted them into the nights sky as twinkling stars. 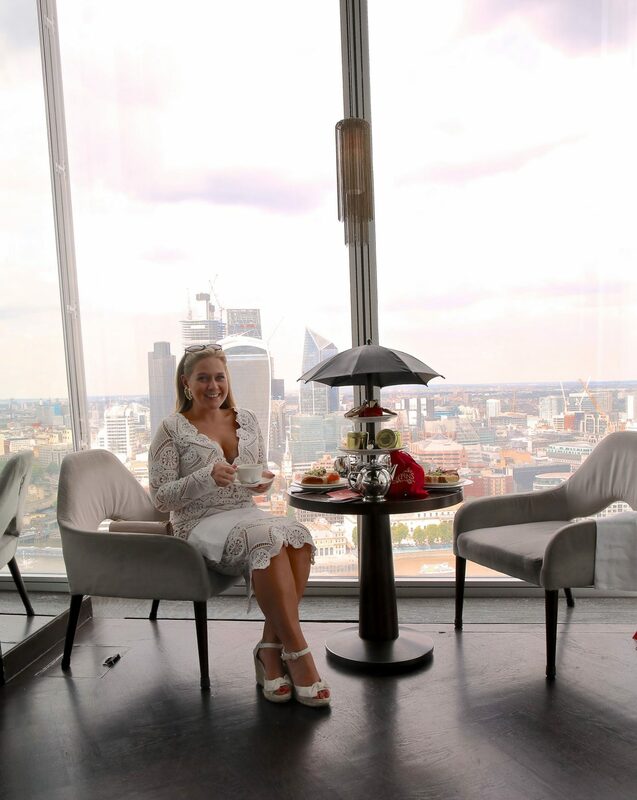 ‘Strike Me Pink Sponge’ – A Victoria Sponge with plum jam, buttercream, white chocolate and pink royal icing. 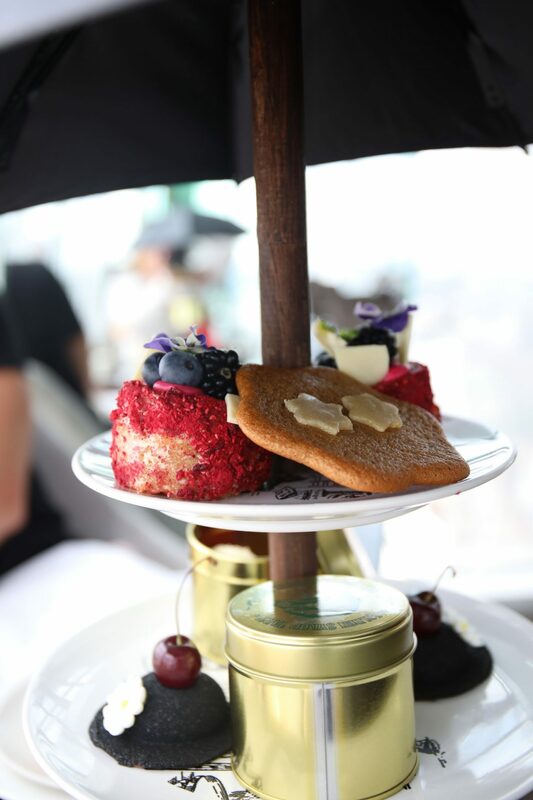 Mary Poppins’ very own black hat complete with cherry on top to commemorate the Banks’ families home; number 17 Cherry Tree Lane. 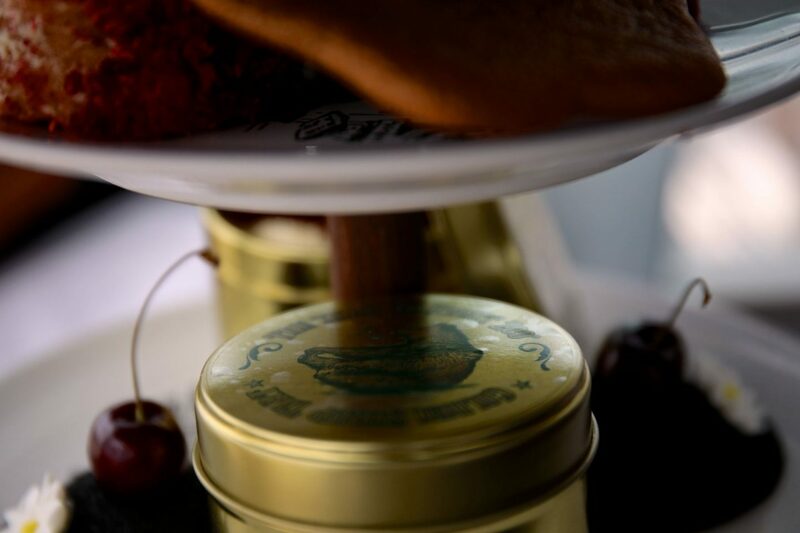 A Golden Syrup tart in a metal pot with Clotted Cream and raspberries pays homage to another scene within the books when Mary took Jane and Michael to the ‘Back To Front Zoo’ and they saw a bear who could not eat the syrup from his jar. 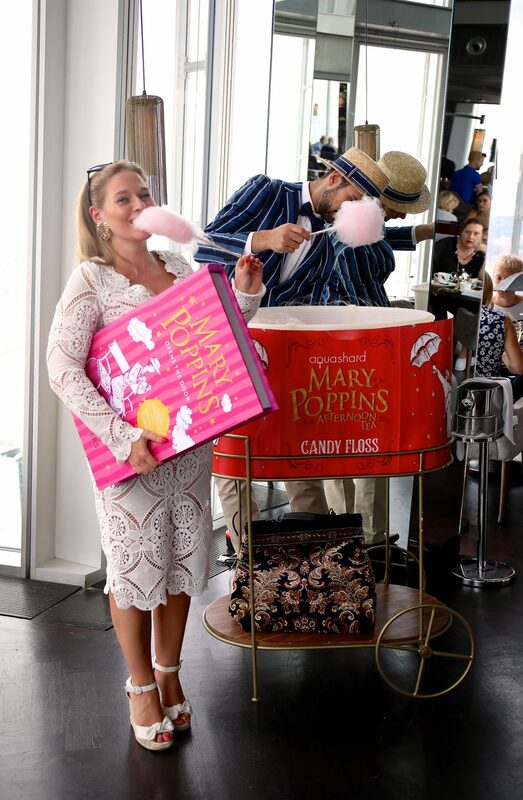 Finally, in honour of my favourite scene in the film, you can take home a stick of raspberry flavoured candy floss served from the Fairground Stand by a fabulous waiter dressed like Bert was at the Fair! 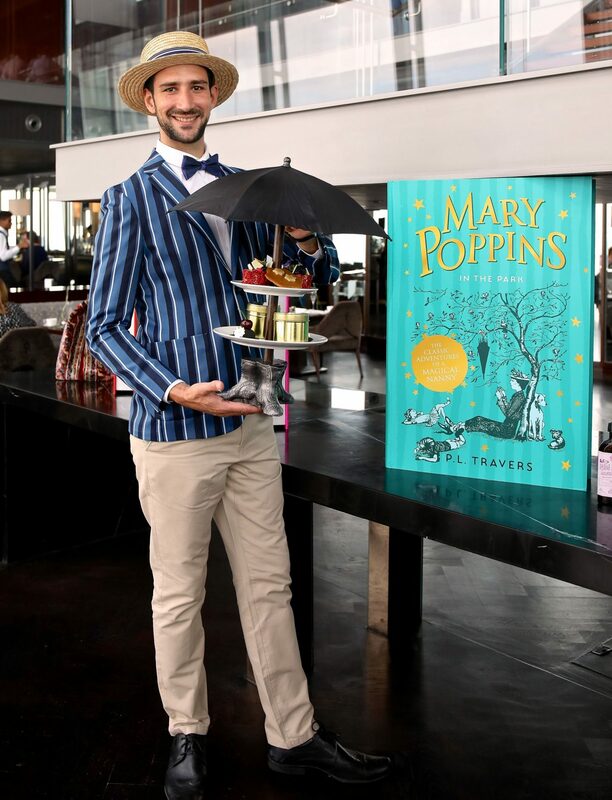 I have a feeling the Mary Poppins Afternoon Tea is going to be rather popular. 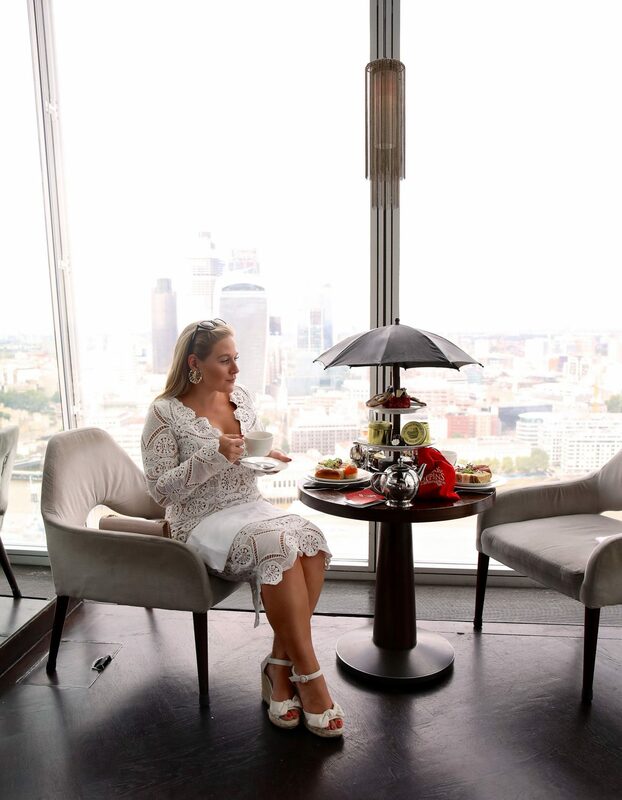 Not to worry though, Mary herself said “I shall stay until the wind changes” (or at least until April 2019!) 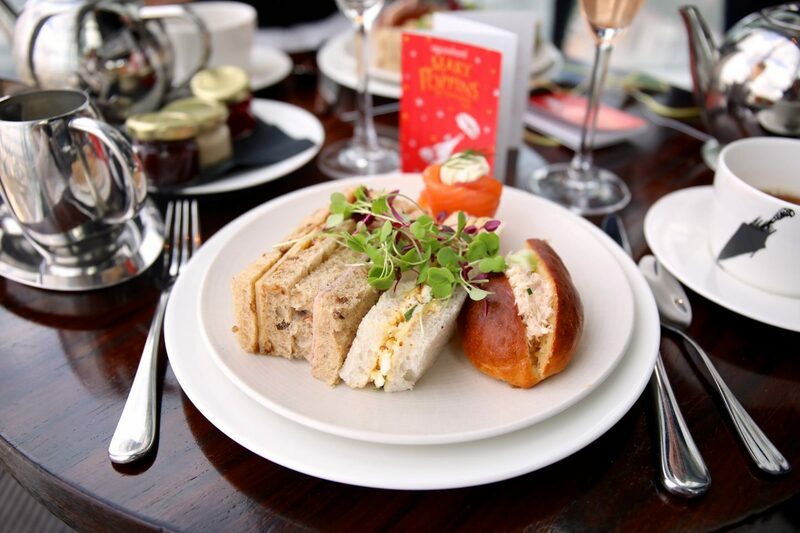 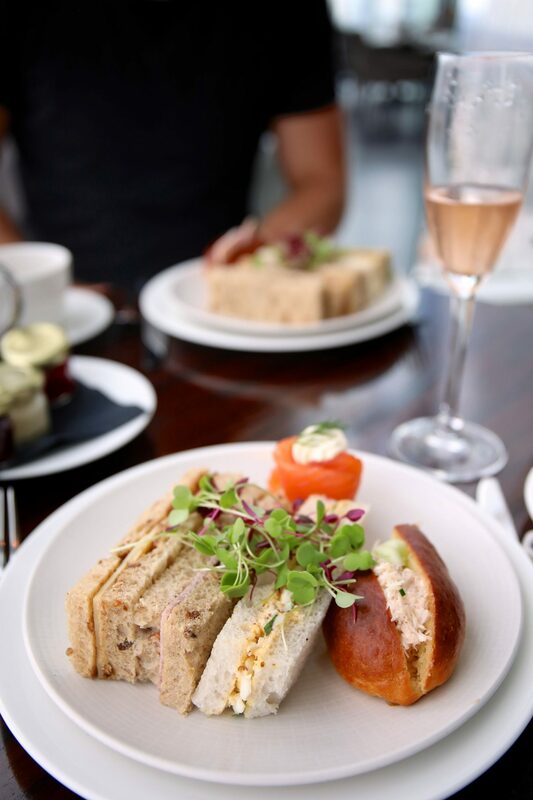 Afternoon Tea starts from £49/person and you can book online here. 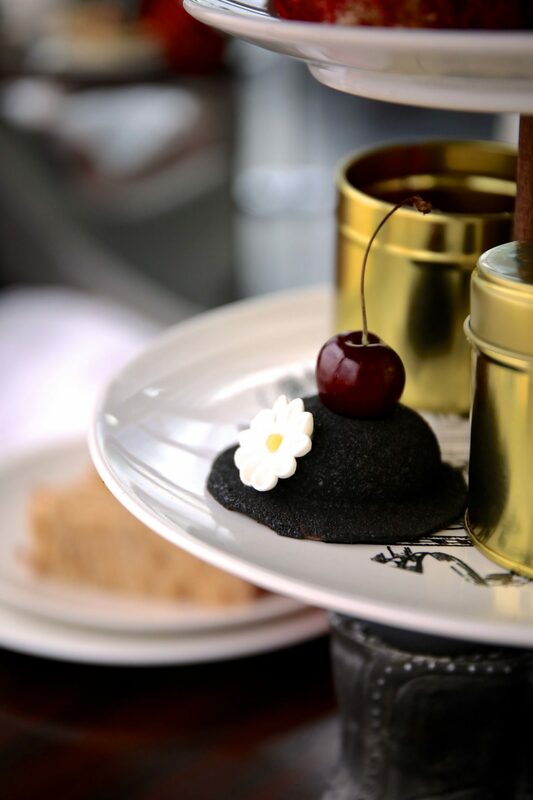 Next Post Marrakech – What to see, eat and do!